Oh my! How much are you loving the navy and champagne print color combo! It is absolute perfection paired with our String of Lights wedding invitation! 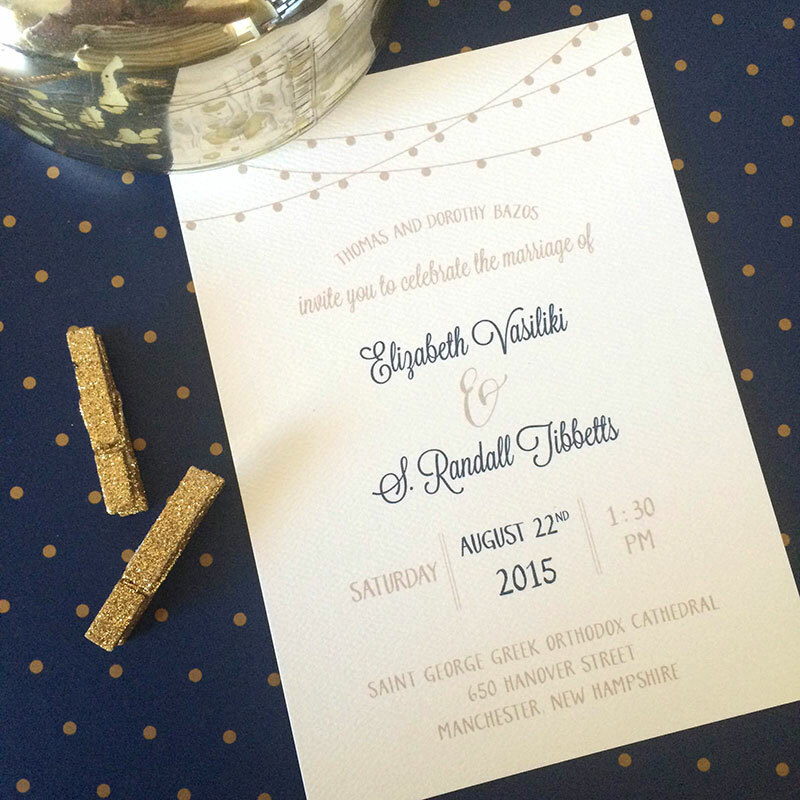 Navy has become an incredibly popular choice for weddings. It pairs perfectly with so many colors. I love how this champagne color plays so well with it and is a bit unexpected.